Ercüment Yildirim, COO and member of the executive board of Loacker Swiss Recycling, explains the reasons for choosing Copex technology: “Transport costs are increasing in our territory. It therefore becomes economically more and more advantageous to carry out the services directly on the sites of our customers. That is why we needed a shear press that was really mobile, that is to say, completely autonomous to go rapidly from one place to another one, versatile and robust at the same time, to be able to process a large variety of materials under conditions of exploitation that are not always easy. When Copex explained to us that it had been inspired by certain techniques implemented on heavy-duty static shear presses to develop the Reflex series, we felt that this model of machine was probably the best to meet our requirements in terms of finished quality and robustness. 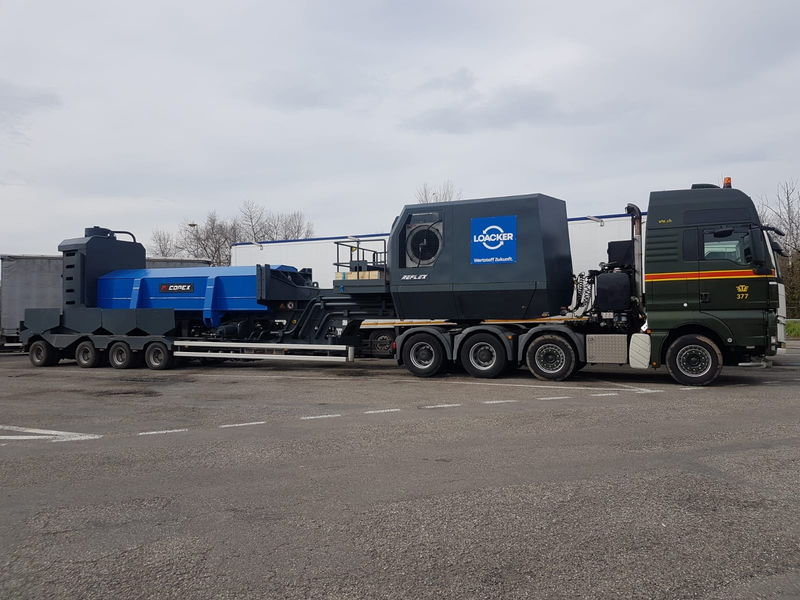 It must be said that we already know very well the Copex technology for large shear presses as we have been operating a unit of 1500 tons of cutting force on our site in Götzis in Austria for many years. My operator found it easy and intuitive to work with the machine. From his crane he can start the complete automatic cycle from the radio remote control and thus have time to carry out other operations during the compacting and cutting phases. The automatic blade fastening system and the specific tooling to change the blades provide a sense of security that is also a very important point on an operating site. Finally, I must say that I was quite pleasantly surprised by the effectiveness of the soundproofing of the engine. The 350 HP AdBlue SCANIA diesel engine of the latest generation has a very low noise level thanks to the insulating foams and large acoustic grilles placed on the engine compartment. The REFLEX650 treats more than 100 tons of scrap a day.